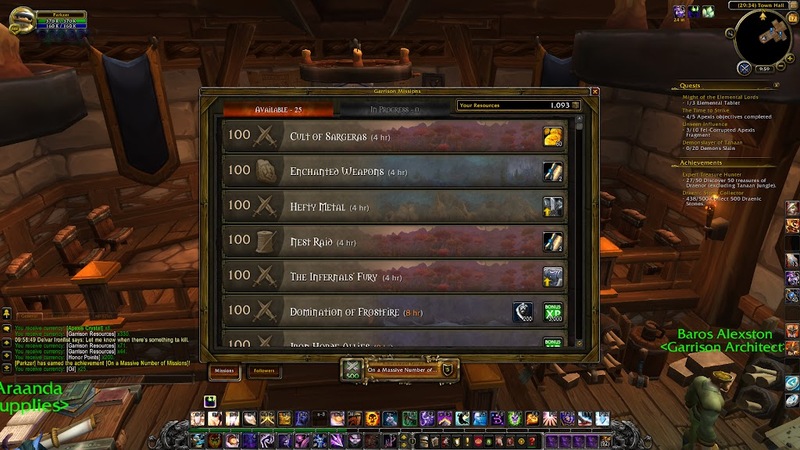 Continuing on the topic of garrison missions from the previous World of Warcraft blog post, I have ap­par­ent­ly completed 500 missions. That seems like an astronomically high number, but I guess these missions really add up. 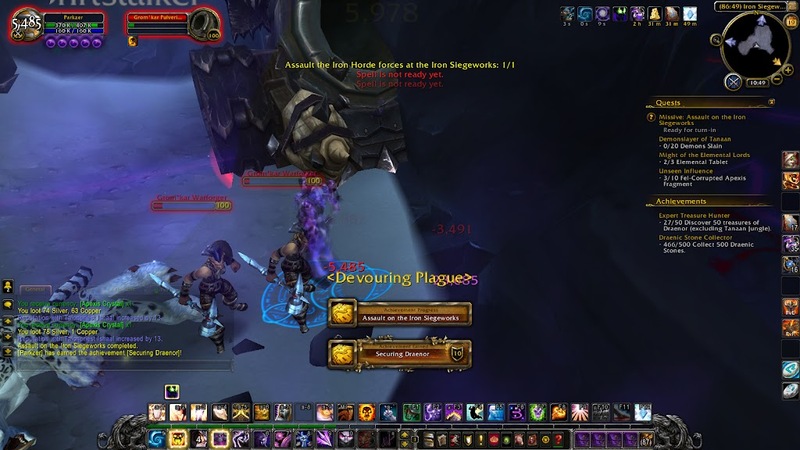 I recently completed the Explore Draenor achievement, and now I’m an additional step closer to Draenor Fly­ing after finishing the Assault on the Iron Siegeworks, my final bonus objective, and earning the Se­curing Draenor achievement. Unfortunately, the two achievements I have left are for reputation grinding and treasure hunting. I’m sure that the reputation achievement will come naturally, as I just play the game in the Tanaan Jungle, but the treasure hunting is going to be difficult. A lot of these items are hidden in random, obscure locations, and I end up getting pretty dizzy trying to navigate my way to them as my camera angle violently zooms in and out to try and adjust to the rapidly changing terrain. I need to find 100 treasures total, and I recently hit the 50 mark. As you can see by the following screen­shot, a lot of these are pretty difficult to reach (this one was high up on a tree, onto which you had to fall from a cliff). Although my time with World of Warcraft was great, my one month subscription period is coming to an end, and I think I’m going to take a short break from World of Warcraft once it does. I’m not exactly getting burnt out or frustrated with it or anything of the sort – I just like having some good variety in my gaming. A big factor of this is the fact that the new season of Diablo III: Reaper of Souls just started, and I want to spend some time progressing through the Season 5 Journey. Because a lot of my time will be spent doing that, I’d prefer not to have overlapping games active if one of them requires a subscription (even though World of Warcraft’s subscription cost isn’t that much). I’m not sure how long Diablo III is going to hold my attention, as it can get redundant pretty quickly once you have all the pieces of your main set, and you’re just frustratingly grinding for the last few pieces of complimentary gear. My guess is that I’ll be back on World of Warcraft within a few weeks, and probably within a month or so at the most – I need to finish up this tedious legendary quest line.